27 February 1976: Building contract awarded to Todd Shipyard Corp.
14 December 1977: Keel laid by the Todd Shipyard Corp., Los Angeles Division, San Pedro, Cal. 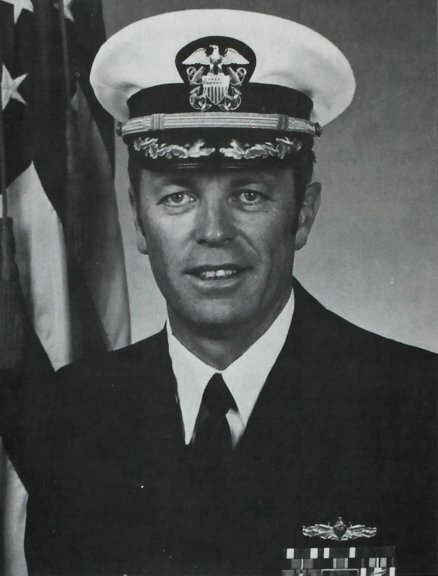 18 January 1986: Assigned to Naval Reserve Force at Long Beach, Cal. 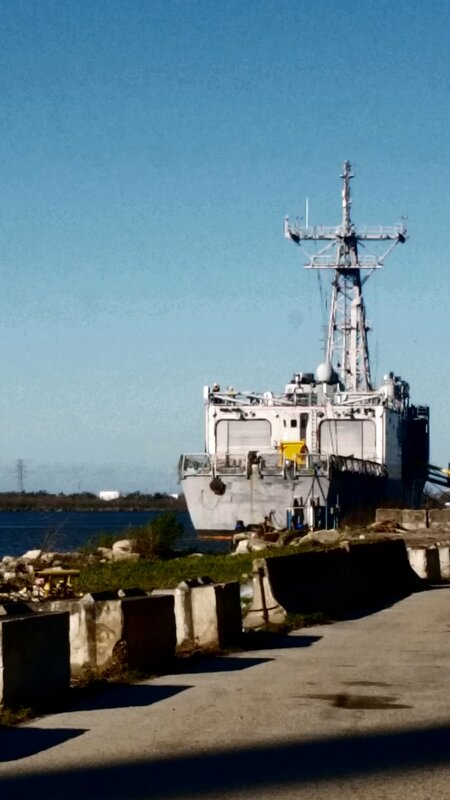 24 June 2015: Arrived under tow by tug Delta Pacer at Southern Recycling, Port Fourchon, La. 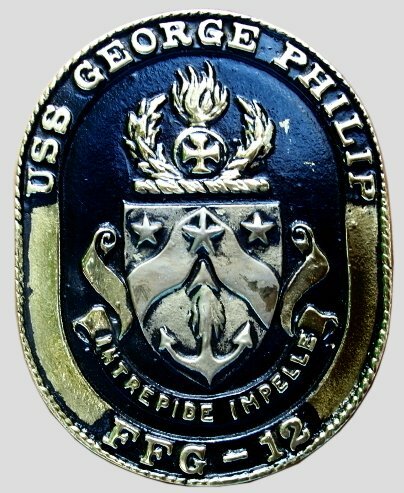 "His courage, fortitude and initiative in the performance of a difficult and hazardous duty characterized Commander Philip as a brilliant leader and seaman, reflecting the highest credit upon himself and the United States Naval Service, he gallantly gave his life in the service of his country." 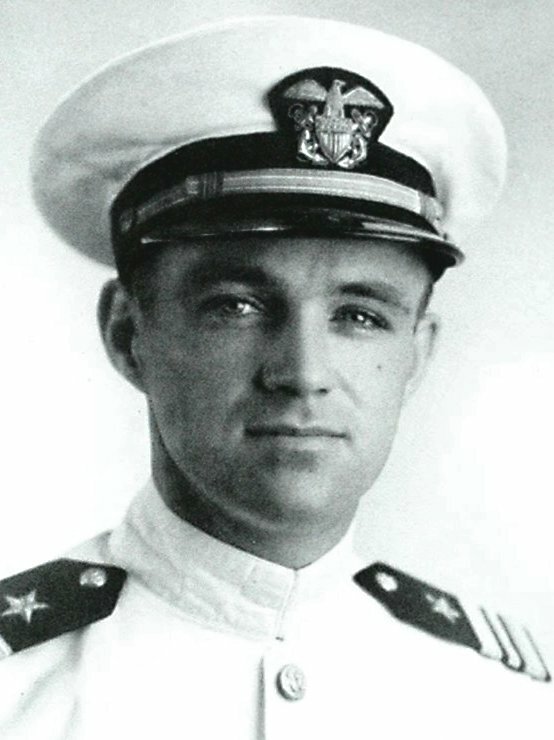 In addition to the Navy Cross, Silver Star Medal, and the Presidential Unit Citation, Commander Philip received the American Defense Service Medal, and the Purple Heart. 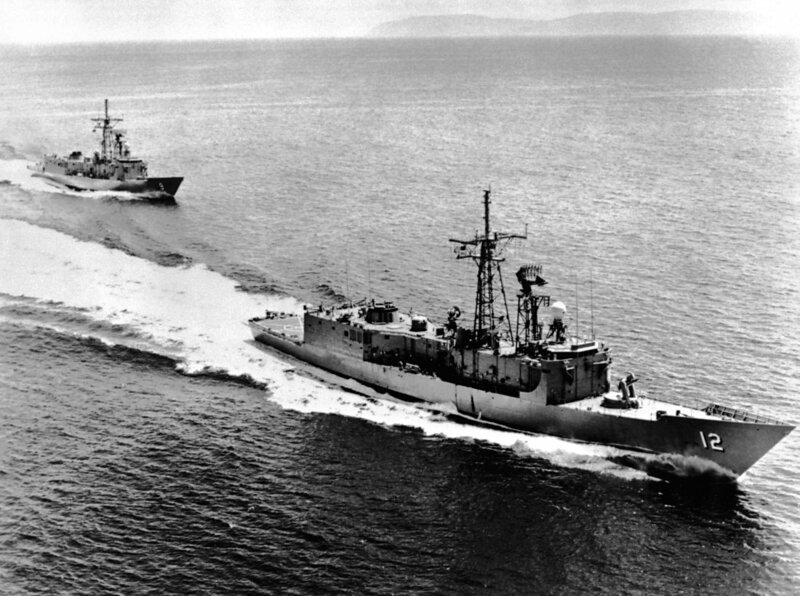 199k 05 May 1982: at sea - An aerial starboard bow view of the George Philip, foreground, and Wadsworth (FFG 9) underway during sea trials. 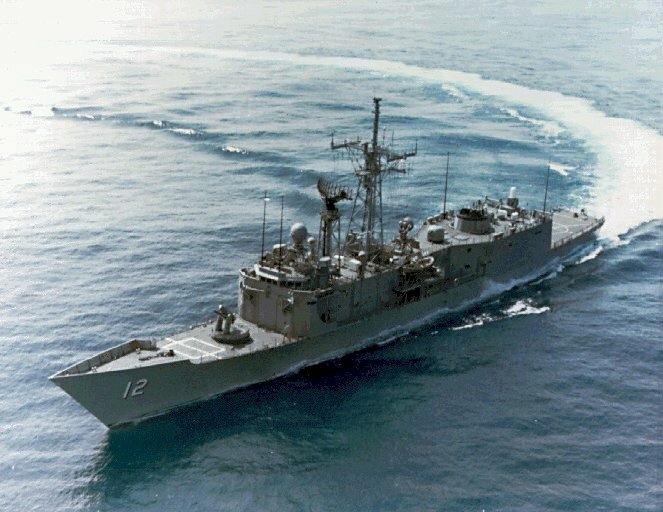 161k 05 May 1982: at sea - An aerial starboard beam view of the George Philip underway during sea trials. 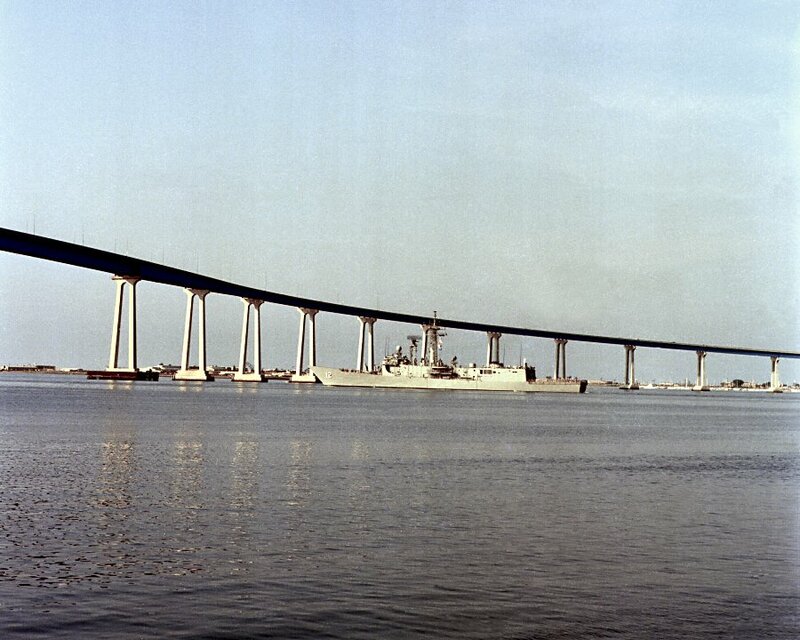 134k 20 June 1984: San Diego Harbor - Port side view of the George Philip preparing to pass beneath the Coronado Bridge. 258k 1987: Vancouver, B.C. 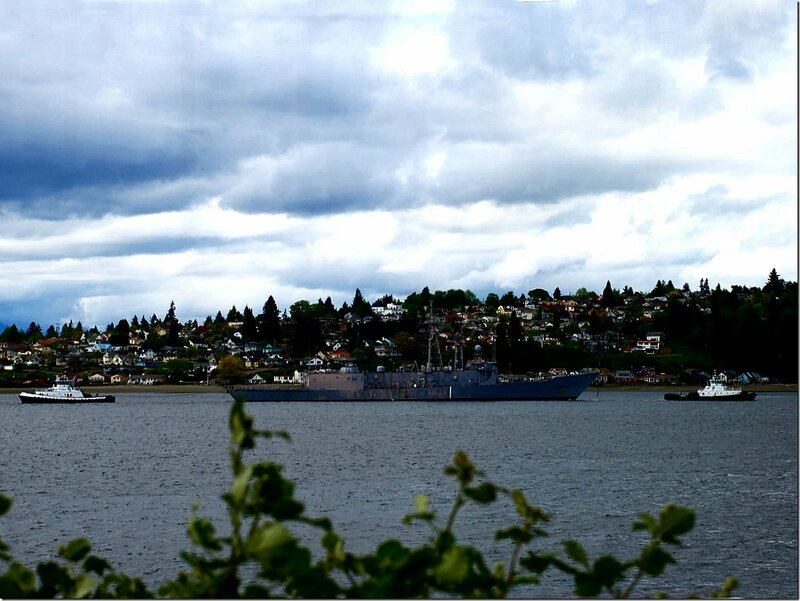 - George Philip making up to a tugboat off Vancouver. 663k 07 July 1990: Vancouver, B.C. 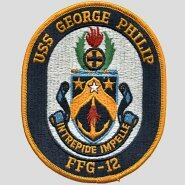 - George Philip underway slowly heading into Vancouver. 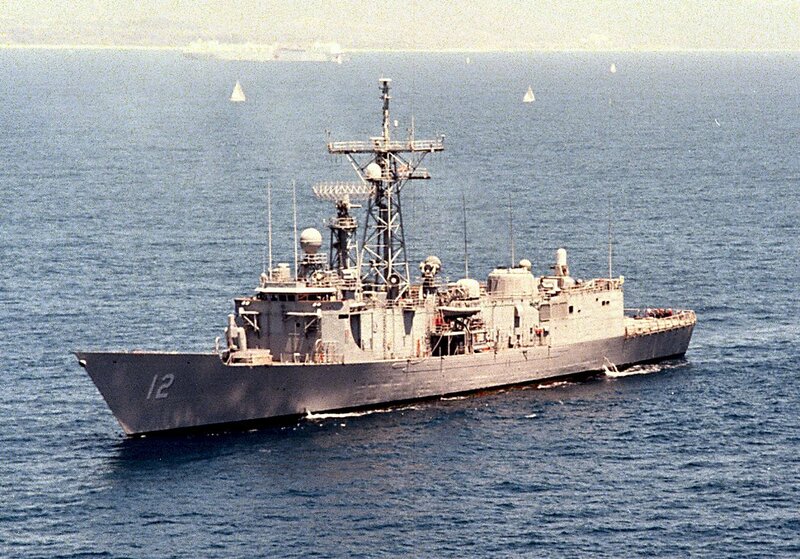 158k 01 December 1993: San Diego, Cal. 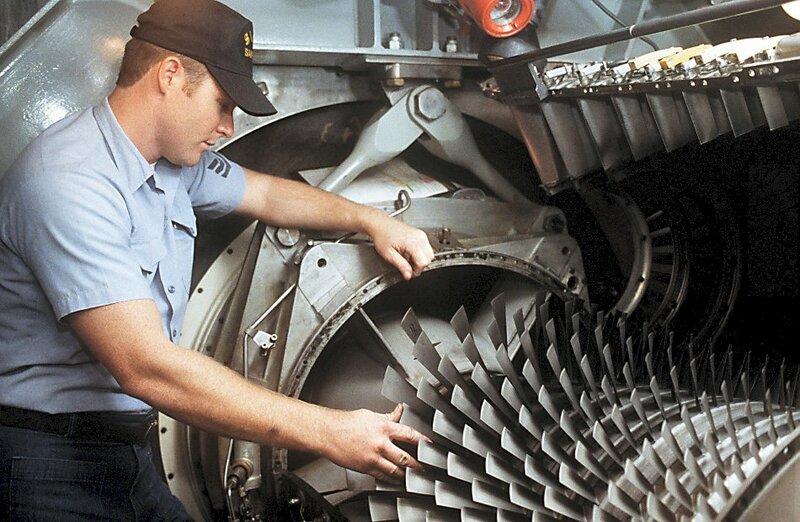 - GSE1 Wilton Law checks the clearance between the blades on a gas turbine engine on board the Naval Reserve Force guided missile frigate USS George Philip during routine maintenance. 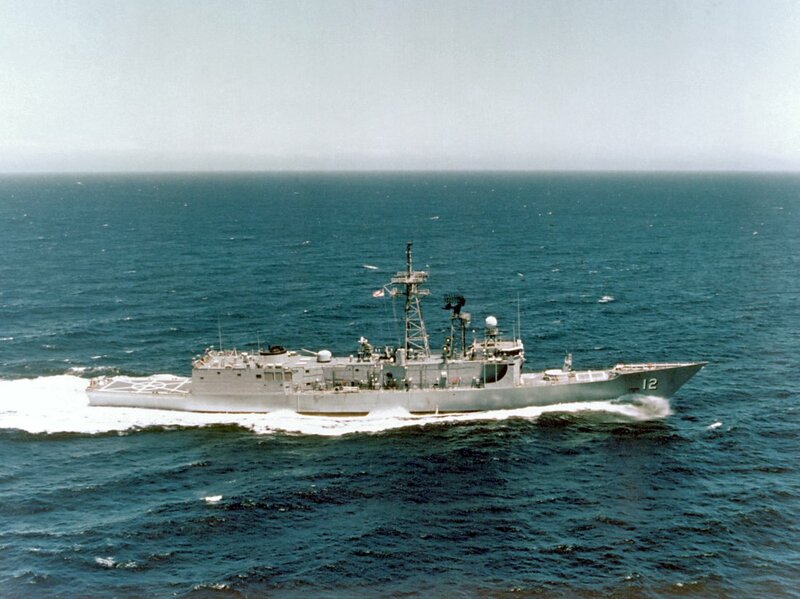 300k 29 June 1997: George Philip underway off the coast of Camp Pendleton, California in support of Exercise Kernel Blitz '97. 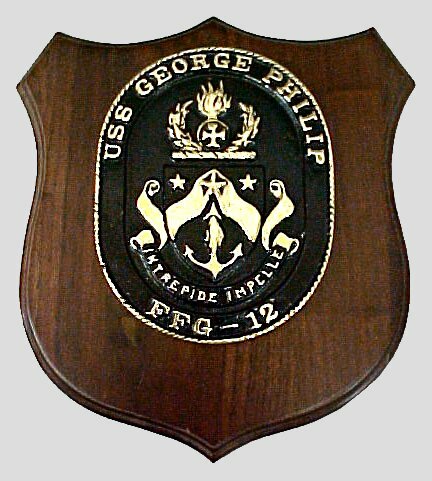 The George Philip's home port was Naval Station, San Diego, California. 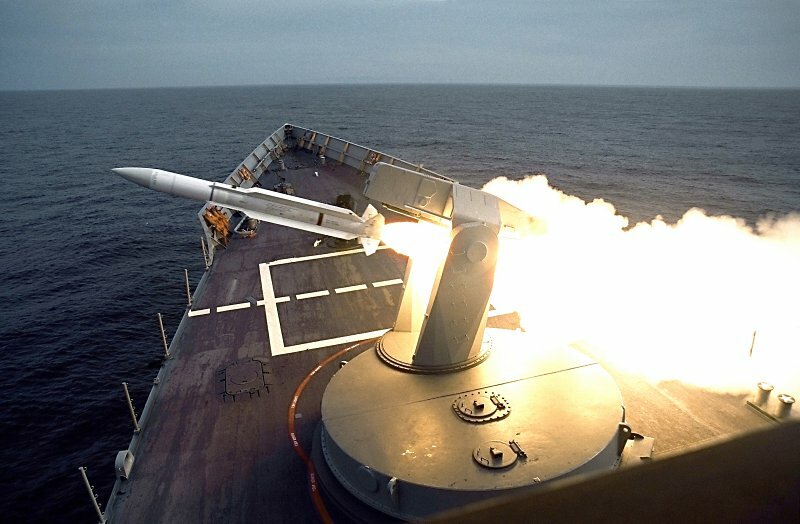 76k 14 February 2002: At sea - A Standard SM-1 surface-to-air missile is launched from the ship�s forward missile rail during training exercises off the California coast. 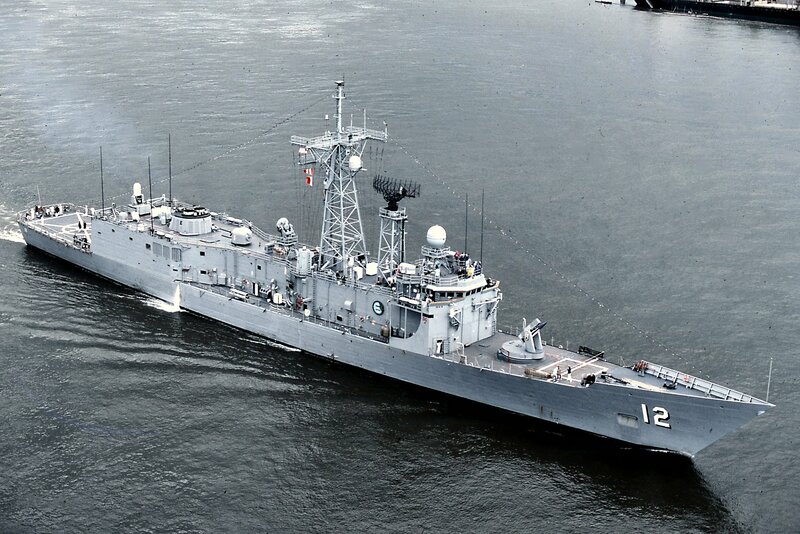 144k 05 May 2002: Maura Port, Brunei - U.S. Navy sailors onboard the Oliver Hazard Perry class guided missile frigate USS George Philip (FFG 12) heave the messenger bolo pier side as the ship prepares to moor at Maura Port, Brunei for the annual Cooperation Afloat Readiness and Training (CARAT) Exercise. 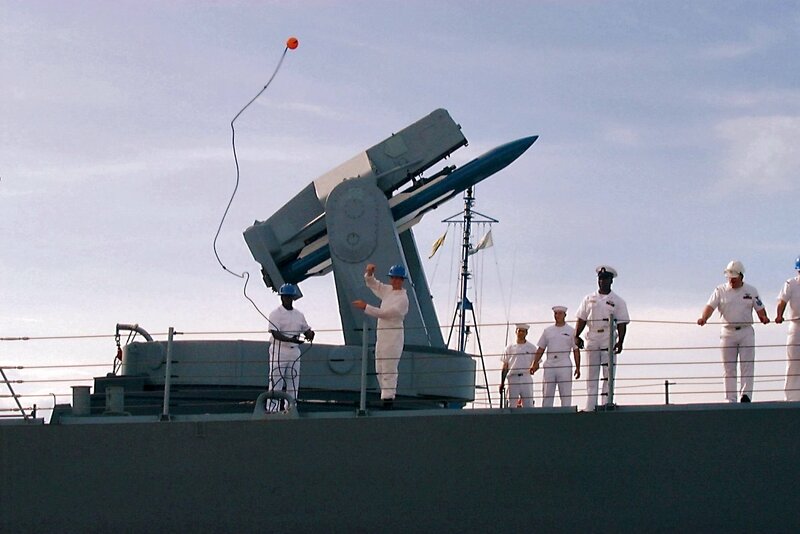 The Mark 13 rail missile launcher is visible on deck. 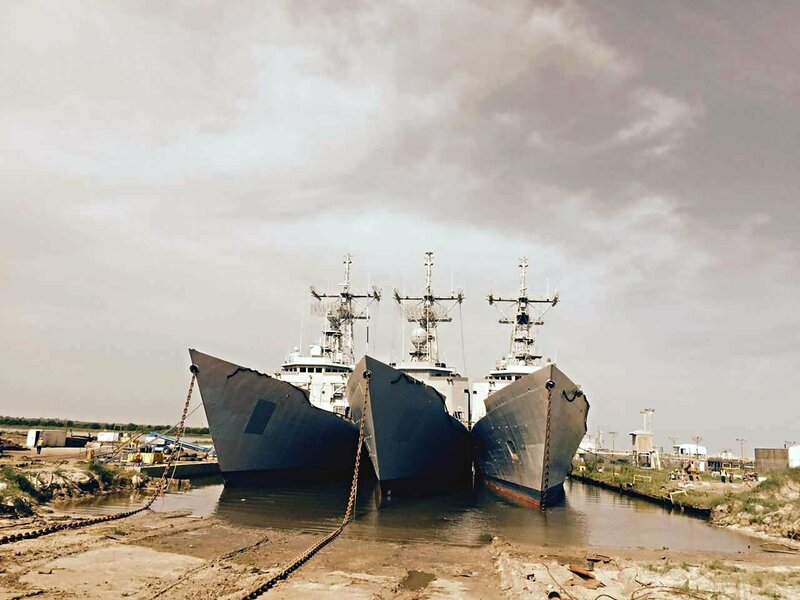 CARAT is the Navy's premier bilateral exercise series that takes place in six Southeast Asian nations. This marks the eighth CARAT exercise, which aims to enhance regional cooperation and increase interoperability. 97k 11 September 2002: Cairns, Australia - SM3 Sean Polidore of Franklin, La., raises the "Navy Jack" in lieu of the "Union Jack" aboard George Philip during the ship's morning flag raising ceremony. The guided-missile frigate, on a routine deployment in the 7th Fleet area of operations, is 14 hours ahead of Eastern Standard Time (U.S.), which gives the Sailors aboard the ship the honor of being the first to raise the "Navy Jack." 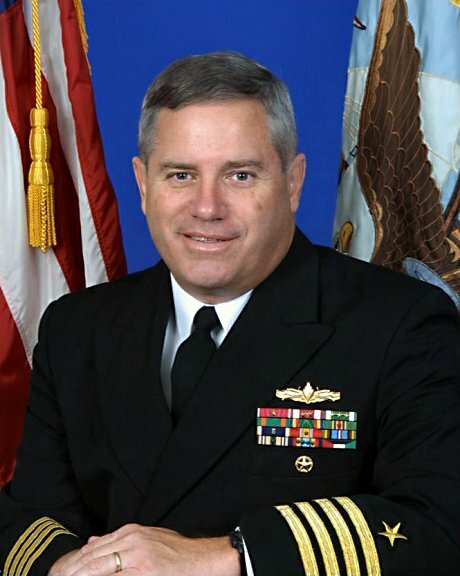 Under direction of the Secretary of the Navy, Gordon R. England, all U.S. Navy ships will fly the Navy Jack in place of the Union Jack for the duration of the war on terrorism. 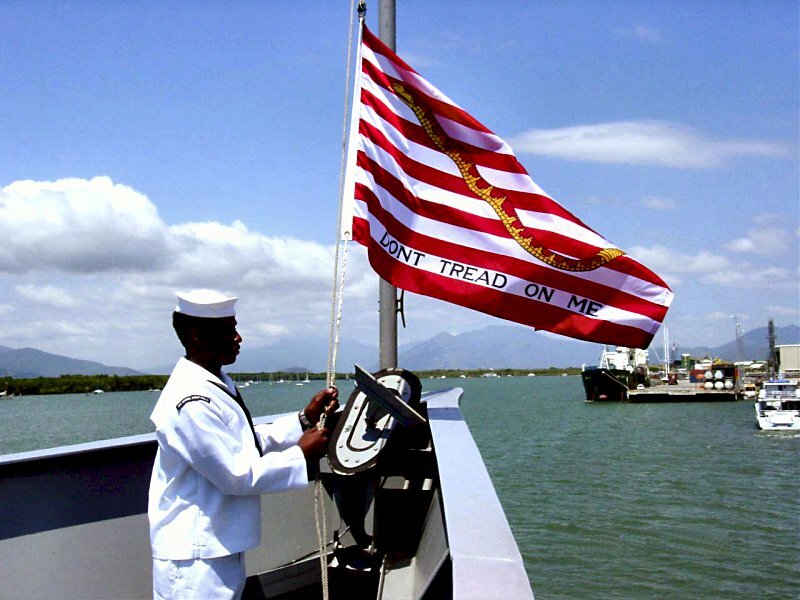 The Navy Jack is a flag consisting of a rattlesnake superimposed across thirteen horizontal alternating red and white stripes, with the motto, Don�t Tread on Me. Previously, only the oldest active commissioned ship, USS Kitty Hawk (CV 63), was authorized to fly the "Navy Jack." The temporary substitution of the "Navy Jack" serves as a historic reminder of the United States' and U.S. Navy's origin, as well as the will of its people to persevere and triumph. 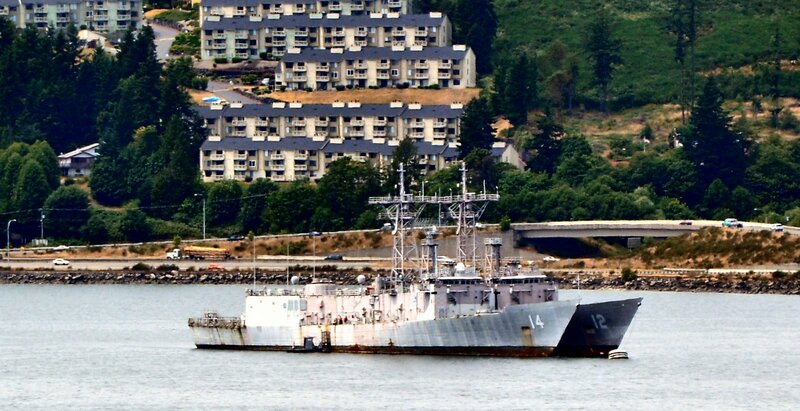 187k 06 May 2015: Bremerton, Wash. - Two shots (one a large panoramic shot) of ex-George Philip departing the Inactive Ships Maintenance Facility, Puget Sound Naval Shipyard for her trip to the ship breakers in New Orleans, La. 120k July 2015: New Orleans, La. - A shot of ex-George Philip, ex-Sides and ex-Jarrett await scrapping while chained at the scrapping yard of EMR Southern Scrap near Lake Charles. Unfortunately, we can't tell which ship is which. 155k 15 January 2016: New Orleans, La. 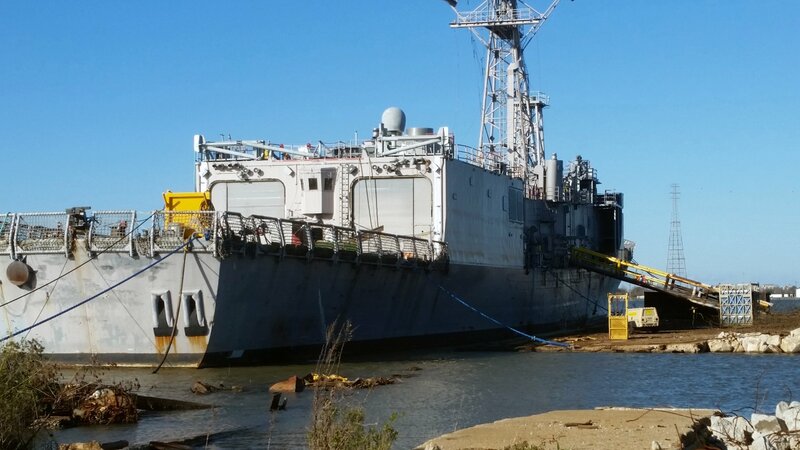 - Two images of the ex-George Philip moored at the scrapping yard of Southern Scrap Metal Co. 3.) 15 Mar. 1985 -09 May 1987 Cmdr. Frank Harold Tryon, Jr. 4.) 09 May 1987 - 10 Jun. 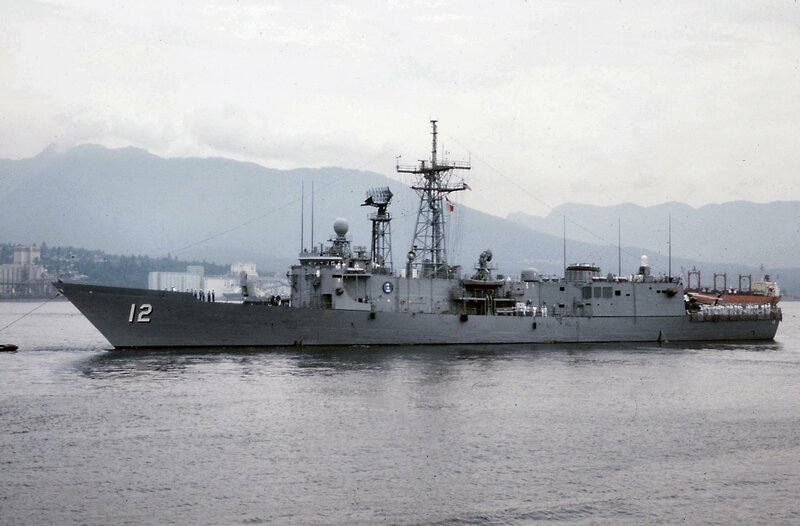 1989 Cmdr. 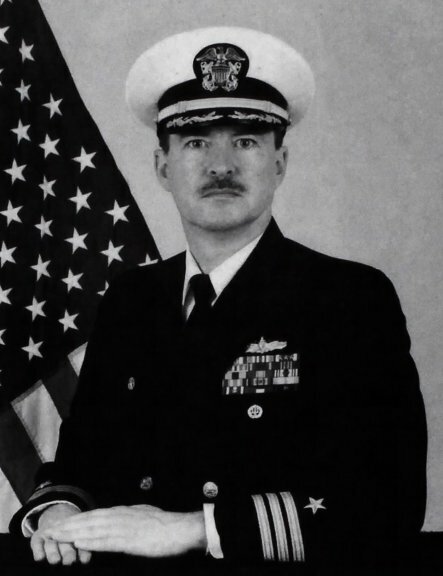 Thomas C. William, Jr. 7.) 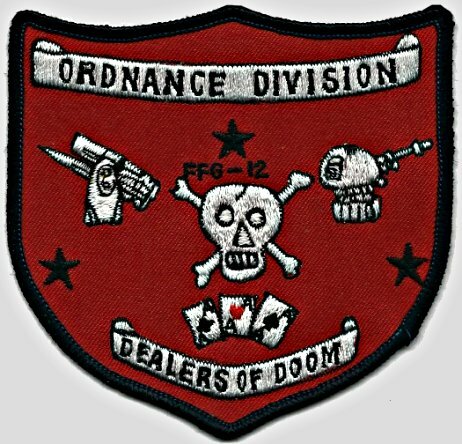 20 Feb. 1993 - 16 Dec. 1994 Cmdr. 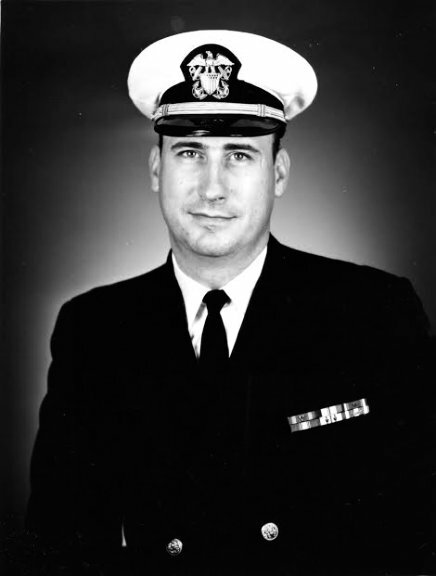 Harold Joseph Flammang, Jr. 10.) 24 Apr. 1998 - 02 Nov. 1999 Cmdr. Leland Hart Sebring, Jr.